Annette Vande Gorne studied classical music at the Royal Conservatory of Mons and Brussels, and with Jean Absil (composition). She also studied electroacoustic composition with Guy Reibel and Pierre Schaeffer at the Paris National Conservatory. She is the artistic director of Brussels’ annual international acousmatic festival L’espace du son, of the electroacoustic music festival 3 visages de la musique électroacoustique, and of the international competitions Espace du son (spatialization) and Métamorphoses (acousmatic composition). 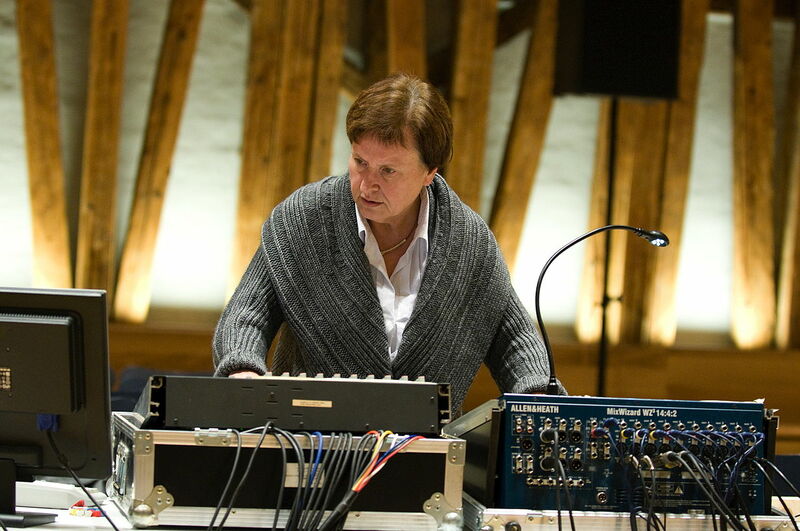 She has taught electroacoustic composition at the conservatories in Liège and Brussels, and currently teaches at Mons, where she created an electroacoustic department in 2002. Her music focuses on the sounding energies of nature; she uses natural sounds and transforms them in studio to create an abstract, expressive, and non-anecdotal musical language. The relationship between text and music is another subject she often explores. She is presently working on an acousmatic opera yawar fiesta with poet Werner Lambersy.